An illustrious VFX Supervisor & Animation Director whose work will astound you. Rob was trained in Classical Animation & Film in Belgium. 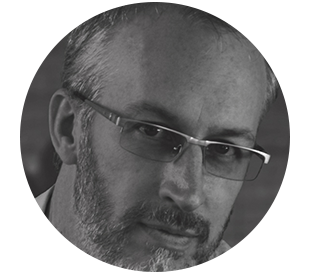 His career spans over 20+ years at leading international VFX & animation companies. Nine of those 20 years, he spent working for The Mill in the UK as a VFX Supervisor and director. He’s also worked at other studios such as Cinesite, Passion Pictures, Realise Studios, Blackginger and Glassworks. Rob comfortably straddles both the technical and artistic spectrums of visual effects, animation and virtual reality. Due to his international exposure and in-depth industry knowledge, he has a tremendous amount of sought-after experience in commercials, animated TV-series and feature film. This combined with Rob’s boundless passion for film, makes him the go-to-guy. He has been a guest speaker all over the world at major film events in Europe, Africa and The US. Some of these events include SIGGRAPH and NAB (LA), Autodesk 3December (London and Johannesburg), Filmakademie Baden-Württemberg, Edit|VES festival in Frankfurt, London’s Tate Modern and the China International Cartoon & Animation Festival. Currently, Rob is also the VFX supervisor and executive creative director at Chocolate Tribe, a VFX and Animation studio based in Johannesburg, South Africa. He supervises film shoots and produces 3D Animation and VFX work for the Film, TV, Digital and Immersive VR for both local and international markets.